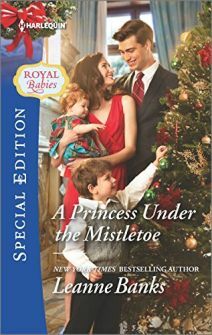 Will there be any more books about THE ROYAL DUMONTS for Silhouette Desire? Yes, one more, but due to my heavy writing schedule, I can't say when it will be published. Where can you meet Leanne in person? Meet Leanne at the New Jersey Romance Writers Conference! Leanne has accepted a contract to write 6 books for Harlequin Special Edition! Leanne has accepted an offer to write a New Year’s Anthology for Harlequin. Leanne is blogging with Harlequin Special Edition Authors at specialeditionauthors.com! Leanne walked her first marathon at the Virginia Beach Rock and Roll Half-Marathon! Leanne is now blogging at Riding With The Top Down blogspot with fabulous authors Kylie Brant, Ruxanne Rustand, Debra Dixon, Kathleen Eagle, Cindy Gerard, Lois Greiman, Michele Hauf, Betina Krahn, and Christie Ridgway! Leanne received a super cool honor when she was featured as one of the answers in a Sunday New York Times crossword puzzle: 28 Across: SOME GIRLS DO author ________ Banks. How cool is that! :) Leanne will never get over this fun experience.